Carbon monoxide poisoning can happen whenever a source of carbon monoxide is present in an enclosed space like a home, garage, or car. Because you can’t smell or see carbon monoxide, someone exposed to it might not be able to detect or feel its effects until it is too late. Carbon monoxide poisoning can cause severe brain damage and death. You may have heard on the news about recent deaths in Alberta due to carbon monoxide poisoning in a vehicle. Since your car is a heavy carbon monoxide producer, you should always take precautions to reduce your risk of exposure. 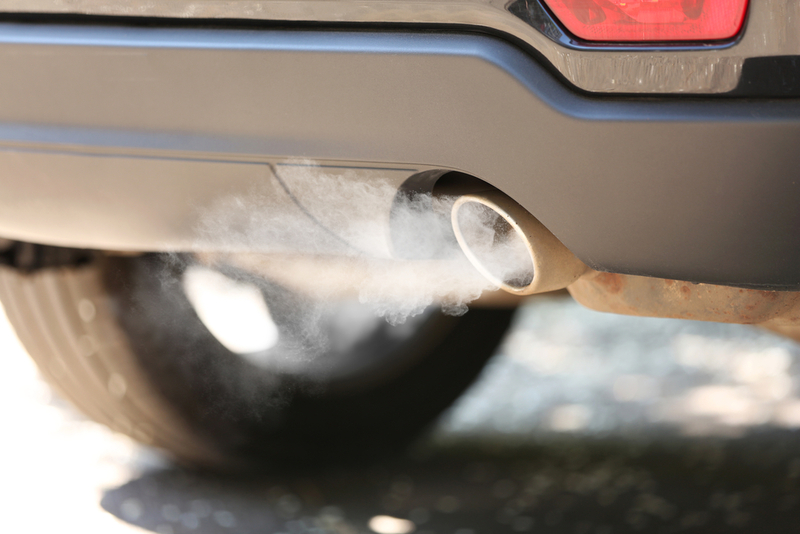 Making sure your vehicle and its exhaust system are in good working order could reduce (and even eliminate) the risk of carbon monoxide exposure. Any leaks in your exhaust system can result in accidental carbon monoxide poisoning. These leaks don’t always make noise so you won’t necessarily know something is wrong. If you come in for a vehicle inspection or servicing, we include a complete look at your vehicle’s exhaust system. If the vehicle requires repairs, you can trust the experienced and certified technicians at Revolution Motors to take care of that for you. Older cars can store more carbon monoxide than newer ones so it’s important to keep them in the best shape possible. New vehicles usually have an emissions system that keeps carbon monoxide levels at a minimum. If this system isn’t working properly, carbon monoxide in the car engine can increase the risk of hazard. Taking your car in for regular service can detect and fix these issues before it becomes a danger. If your vehicle has open holes in its undercarriage and you can actually see the road from inside the vehicle, those holes might allow exhaust fumes inside. If you live in Edmonton and commute to work, you likely sit in traffic and carbon monoxide is entering your vehicle. This is especially true and even more hazardous if you also have a leaky exhaust in addition to the holes. Don’t risk it. Try to replace your car as soon as possible. You could be in danger of carbon monoxide poisoning in the car. Never run your car inside an enclosed space like a garage. Even if you leave the garage doors open, the carbon monoxide levels inside the garage itself could be dangerous and you will be exposed to it. If you keep your windows rolled up and run the car in an enclosed space, you are still in danger of carbon monoxide poisoning in the car. If your car is parked outside but is covered in snow or backed into a snowbank, make sure that the tailpipe isn’t obstructed. If it is even partially blocked, that exhaust will flood the space between your car and the ground and can enter the vehicle. The good news is that if your exhaust system is working properly, the carbon monoxide will come out of your tailpipe and quickly dispel to safe levels. Your risk of carbon monoxide poisoning in the car can be nil if you have your exhaust system inspected regularly, maintained and repaired when necessary. Contact us or call us at (780) 761-1800 for a full vehicle inspection.